This modern but elegant diamond engagement ring is funky and unique. 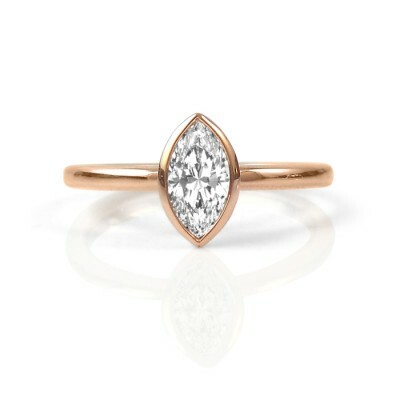 Made of 14K rose gold, the bezel around the stone makes this ring easy to wear. 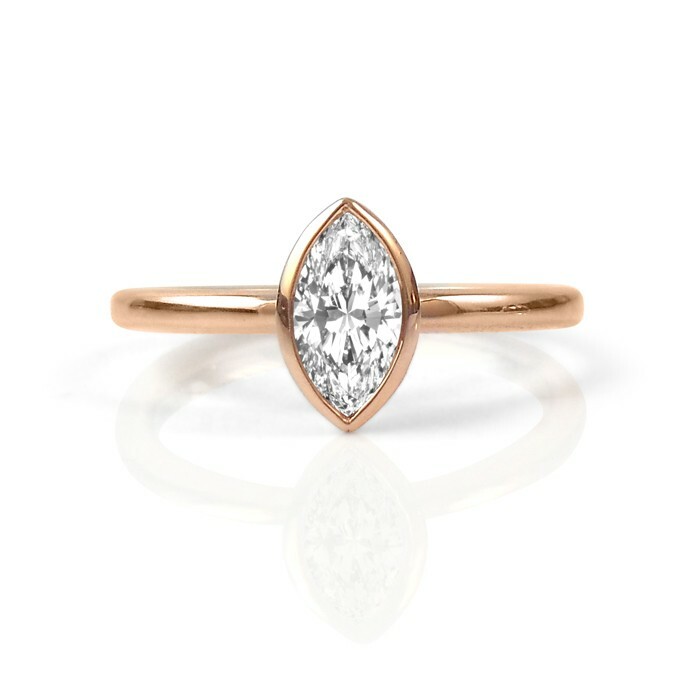 This engagement ring features an 0.43 carat Marquise-shaped Maximum Brilliance Canadian Diamond that is E colour, VS2 clarity and Very Good cut.